The old home, when being leased by the Herndons was called Beaulieu. It was said to resemble the inclusions of both the Cabildo in New Orleans and one of the wings of the original White House in Washington. The mansion was artfully crafted with stately columns and arches that dated to the 1850s. In January 1961, the “Dixie White House” was purchased by Mr. and Mrs. Claude Schneider of Slidell. Members of the Pass Christian Garden Club immediately were aroused upon hearing that the Schneiders were considering the demolition of the historic old home. In solution to their problem, they recruited community newcomer Liz Pritchard, who arm in arm with Ruth Gordon, then secretary of the Pass Christian Chamber of Commerce, formed a committee to preserve the old mansion. 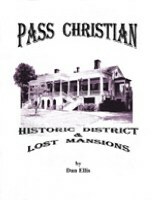 This action was the impetus that lead to the formation of the Pass Christian Historical Society with several fund-raising promotions that followed. Even the Schneiders became members of the Society, and temporarily stayed their plans to tear down the building. 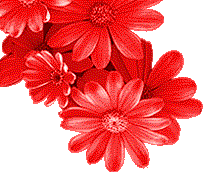 However, several months passed as the drive for funds floundered – and when matters seemed bleak – their prayers were answered. Mrs. Thomas Jordan, on visiting the vacant home, decided she wanted the place as a summer residence. On October 5, 1966, in celebration of the act of sale, Mrs. Jordan was formerly welcomed at a meeting of the Pass Christian Garden Club which was joined by members of the Pass Christian Historical Society. The reduced selling price to the new owners was indicative that the Society must have raised at least $15,000 in their fundraising efforts. One of the grand home’s earliest owners was retired General William S. Harney, a famed cavalryman of the Mexican War and the Indian Wars. In 1880, he hosted former President U.S. Grant at Beaulieu. In the winter of 1912-13, President Woodrow Wilson celebrated his 56th birthday with Miss Alice Herndon and her mother, Mrs. Thomas Herndon. At the time of President Wilson’s visit, the home was actually owned by Mrs. John M. Ayer of New Jersey, in which state, Wilson, in 1910, had been elected Governor after having been president of Princeton University. 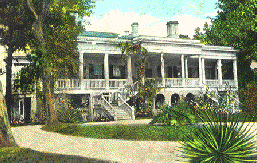 In 1947, her daughter sold the grand home to New Orleans engineer Andrew M. Lockett, Sr. The house was described as a roomy home that was a fine example of Colonial architecture, modified by the old French and Spanish tiles which prevailed in Pass Christian in earlier years. The structure was set on massive arch columns of old Spanish architectural beauty. There was a fireplace in each of the six bedrooms with high ceilings and wide windows. The dining room table was habitually set for 25 persons. One of the bathtubs was imported Italian marble weighing several tons. Historically, the home was built in 1854 by John Bache of New Orleans. He sold it prior to the Civil War to George Jonas, president of the Canal Bank of New Orleans. The next owner was General William Selby Harney who saw action in the Florida Indian campaigns and won fame in the Mexican War for bravery and leadership. He received additional fame in the campaigns against the Sioux Indians in the northwest. Although in active service during the Civil War, he was retired in 1863, because of suspicions that he was a Southern sympathizer. 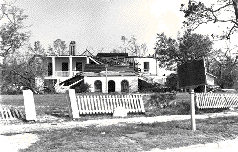 The Dixie White House served as a nursing home in its last years – before being razed following heavy damages due to Hurricane Camille in 1969.